Will Taking Hawaii Lava Rock Bring Me Bad Luck? I remember one of my firsts visit to the Big Island circa 1997. My husband (boyfriend at the time) had been living in Hawaii, and upon landing, immediately told me about Pele’s Curse. In short, if I took a Hawaii lava rock home, I would surely have bad luck. Naturally, I didn’t dare tempt fate. But, I always wondered: Is the curse real? According to Wikipedia, Pele’s Curse is the belief that anything natively Hawaiian, such as sand, rock, or pumice, will effect bad luck on whoever takes it away from Hawaii. Legend has it that Pele, goddess of fire and volcanoes, is so angered when the rocks (which she sees as her children) are taken from her that she exacts a terrible revenge on the thief. While visiting the lava flows on the Big Island of Hawaii, you may want to take a momento home with you. But, make sure that momento isn't a lava rock. Get something from a sourvenir shop instead. There are a few ideas about how the legend came to be. One version is this: A disgruntled park ranger, angry at the number of rocks that were being taken from the islands by visitors, said that Pele would curse them with bad luck should they take anything. Another version often told is that bus drivers, tired of the dirt and grime brought on their buses by the tourists’ collection of rocks, started the story at the beginning of each tour to discourage the rock collecting. I have no idea whether the legend is really true or not, but the internet is full of intriguing stories from people who have taken home rocks or sand and, then, endured bad luck. One person wrote that, as soon as she returned with a lava rock, her psychic told her she was surrounded by “negativity.” Another person brought home some black sand for her Mom, whose dog immediately got sick. Sure, this could just be coincidence, but one never knows. However, these are facts: Most people who live in Hawaii frown upon any visitor taking rocks, etc. from the islands. And, it’s actually illegal to remove minerals from within a U.S. National Park. 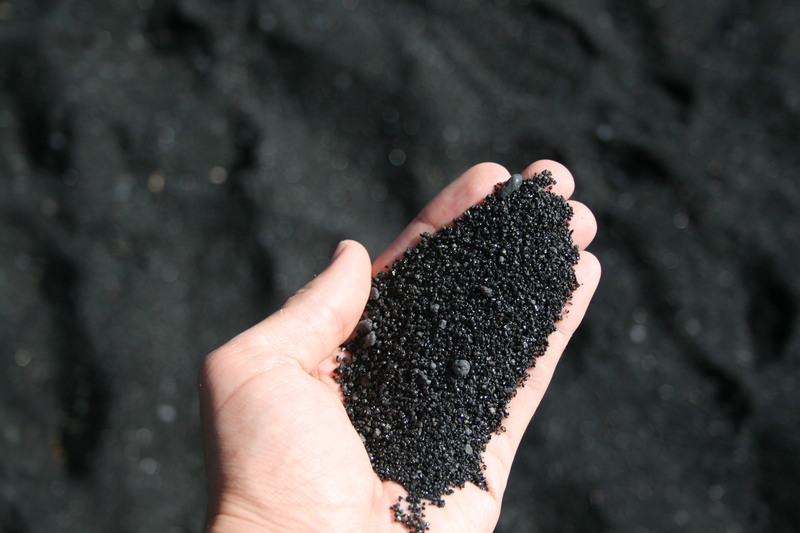 Taking black sand from the Big Island is also said to bring bad luck to the person who brings it home. What Should I Do If I Bring Some Home? It’s up to you, really. But, if it were me, I would return the Hawaii lava rock IMMEDIATELY. You can return it to your hotel, the Hawaii Volcanoes National Park, or even to the airport if you choose. Or, I found a website sponsored by the Volcano Gallery and Volcano Lodging that provides all the information you’d need to return your lava rocks. The website asks for a $15 voluntary donation (or whatever you can afford) in return for making sure your lava rock is returned properly. 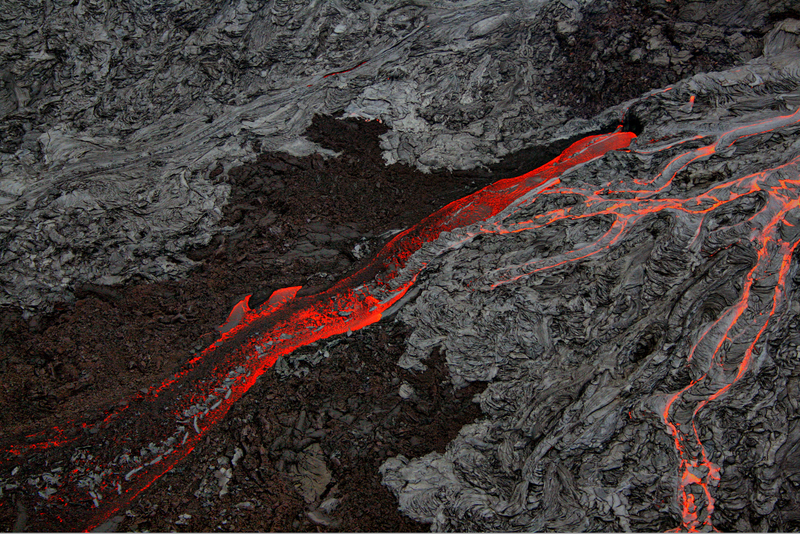 You’ll also find lots of interesting “lava return” stories posted on the website. Trekking through a landscape of lava rock, whether it’s on the Big Island during a Volcano Sightseeing and Walking Tour, or on a any of the Hawaiian islands, can be a sea of temptation. But, RESIST! Don’t pick up that rock, and enjoy a lifetime of good luck!